Wild symbols have been around since the days of mechanical 3-reel slots, and today are found in one form or another in every video slot produced. These symbols have gone from simple substitutes which are able to create wins with the regular symbols, to complex (and often entertaining) parts of the games. How you should adjust your strategy when playing a slot with a lot of wilds, compared to one with very few or wilds with limited replacement values. There is a good reason for this. Wilds appear frequently on the reels, and allowing them to substitute for bonus symbols would mean that the feature rounds would come in too often. While this might be great from a player’s perspective, all slots need to balance in terms of payments and the game play. Unless specified differently, you should assume that wilds on the latest slots do not substitute for bonus symbols in general. Regular Wilds: These are now included in almost every slot, and simply substitute for the regular symbols to increase the number of wins. You will often find that wilds are also the highest paying symbol. Reel Specific Wilds: Some slots have wilds only on certain reels. This means it is not possible to create wins with wilds alone. Common configurations include wilds on reels 1, 3 and 5 or on reels 3, 4 and 5. Stacked Wilds: Many slots have symbols which come in long strips on the reels, this means the entire reel (usually 3 or 4 symbols) can be covered in the same symbol. When wilds are stacked, you can end up with 1 or more reels of them and create a lot of wins. Some games combine reel specific wilds with stacked symbols. 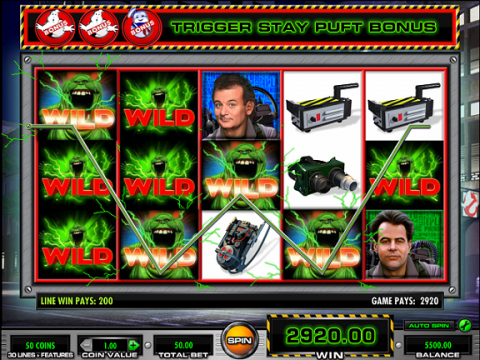 If a game has stacked wilds on all reels, it is possible to have the entire grid wild at the same time (for maximum payouts on every line). Expanding Wilds: This is more likely to occur during a feature bonus game than in the base game. A wild will often expand to cover all 3 positions on a reel. This could be on certain reels only, or it may be possible to get wilds on all of the reels. More rarely, wilds will expand sideways – which will match the win-line setup well. Moving Wilds: As slots get more complex, wilds take on new behaviours. Moving wilds include bonus games where a different reel is wild each time (walking wild reels), and others where the wilds move on their own, usually sideways though sometimes from top to bottom too. Contagious Wilds: Here the wild symbols will make the symbols next to them wild. There are some which explode, and others which set off fires. Whether diagonals are included as well as adjacent symbols will depend on the game. Sticky Wilds: During bonus games you will often get wilds which stick to the reels after they land. As you go through a free spins game, you will collect more and more wilds – meaning your last few spins can win you some very large amounts. Other games have sticky wilds which are pre-determined – for example the entire middle reel can stay wild throughout the bonus. Yet another variation is to have wilds which stay sticky until you win, or only last 1 more spin. Random Symbol Wilds: Some slots will select a random regular symbol at the start of a bonus game to become an additional wild. Others add extra wilds using a pre-determined symbol. Added Wilds: Creatives behind slot games have come up with a lot of ways to add wilds to the reels, in both the base game and bonus features. Sometimes this will be simple, some wilds will just appear on the reels. Other times it is tied into the theme, for example a robot appears to breathe fire on the reels and create new wilds in the Transformers: Battle of Cybertron game. Multiplier Wilds: This category can overlap with all and any the other. These wilds multiply any wins which they are a part of. With some slots this is for the base game – while others reserve their multiplier for the bonus features. One of my personal favorite slots uses this, Aristrocrat’s Buffalo which gives you 2x and 3x on wins during the bonus where wilds are involved. Of course, there are often combinations of behaviours too – and new innovations coming through all the time. Wilds have disproportionate effects when there are a lot of win-lines. Let me explain with 2 examples. If a slot has 10 win lines, then a wild on the first reel will become part of a maximum of 4 of those lines, depending on its position. If that same 5 by 3 slot has 30 win-lines, then a wild in the same place can be part of 12 possible win lines (in the middle). For a 50-line slot, the wild can have an even bigger effect. Where there are stacked wilds, or sticky wilds during a bonus (or just a lot of wilds in general as part of the game! ), never reduce the number of win-lines you play. In this type of game you get a big boost from playing the maximum win-lines, and letting the wilds have their maximum effect. When you are playing all-ways slots, a single wild on any of the reels can double the number of winning combinations. Picture a win with all 5 reels, where matching symbols can be in any position. Having a wild on reel 4 (for example) means there are now 2 paths through this win, one with the regular symbol and the other with the wild. Add one more wild, and you have 4 paths through – and so on. If you see an all-ways slot with a lot of wilds, then you know you will have the potential for a lot of wins! Where to Find the Best Selection of Slots with Wilds? My top pick is the giant Unibet Casino. The reason is simple, 600+ slots, all of the big software houses, combines all of the famous jackpot games with exclusives and innovative slots from new and upcoming vendors… in short the ultimate collection at a big brand name. New players get a 100% welcome bonus + 50 spins on a very famous jackpot slot. Check out www.unibet.com for yourself now and start enjoying those (wild!) wins. My top pick for US players is the huge Bovada Casino. The reason is simple, 100’s of slots from 3 of the biggest and best software houses, including RealTime Gaming, BetSoft and Rival Gaming. For amazing wilds, I recommend the 3D BetSoft titles in particular. Bovada are a trusted brand (they used to be called Bodog and have been serving the US from offshore for more than a decade). They also boast the best promotions and biggest welcome bonus of any big brand slots casino. Check out www.bovada.lv for more.